Flight compensation could be available to you if you have been severely delayed on your way to your destination and the airline you have chosen was responsible. Many people are still not aware of this fact and as a result, lose out on the chance to claim a sum of money for the inconvenience they have incurred while waiting for planes to travel for work and holidays. Others believe that it is not worth the time and trouble to make a claim, even though they are entitled to do so. After all, claiming compensation can be stressful and the thought of dealing with the airline to argue your case can be very off-putting. However, there is an easier way to get what you deserve. If you have been significantly delayed by your airline at any time over the last six years, speak to Flight Claim UK and we’ll do the hard work for you. Your airline has a duty of care to you from the start to the end of your journey and if they have failed in this in any way, then you should consider making a claim to remind them of their responsibilities and hopefully prevent this kind of thing happening to others in future. In simple terms, you could be eligible to claim between €250 and €600 in flight delay compensation per booking, depending on the length of the flight and how badly you were delayed. This may not sound like a great deal of money but imagine if you have been travelling with your family or friends and the money soon adds up. We think that if you are entitled to make a claim, then you should exercise your rights. A payment of money won’t bring back the lost hours you experienced on your trip but it can certainly help. 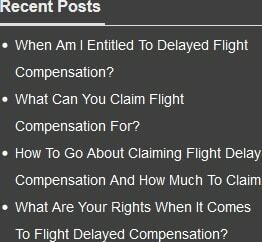 There are a few basic criteria that must be fulfilled before you can consider claiming flight compensation. Firstly, you must have been travelling on a flight operated by an EU based airline, or a non-EU based airline travelling from an EU airport. Secondly, you must have a confirmed booking and you must have arrived in good time for your flight. Thirdly, your flight must have been delayed for three hours or more. You cannot claim compensation for late flights, however, if the airline can prove that there were exceptional circumstances outside of its control. These include situations such as extremely adverse weather conditions, strikes, security risks or political instability. However, even in these situations, you are entitled to assistance at the time, such as access to free phone calls, refreshments and/ or meals appropriate to the length of the delay, and overnight accommodation and transfers if applicable in your case. You can, of course, try to claim compensation yourself. However, it is possible that the airline will resist accepting liability for the flight delay. It is always preferable to seek the advice of an experienced legal company when making a claim as they will have the knowledge and experience to be able to present a strong case on your behalf. 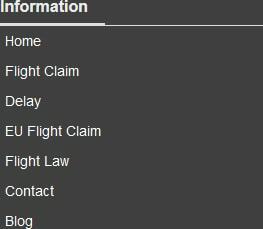 Flight Claim UK is one such company. We are a specialist organisation that aims to help you claim compensation for late flights. We can also deal with situations where your flight has been cancelled or overbooked, resulting in disruption to your travel plans. Tell us the details of your situation, and with copies of your booking form, tickets and boarding passes, we will negotiate with the airline on your behalf to aim to claim flight compensation for your time and trouble. What’s more, we will act on your behalf with a no win no fee basis, ensuring that you do not lose out financially if your case is ultimately lost. If you have found yourself in a situation where perhaps the start of your long-awaited holiday is postponed because you have missed a flight change or lost out on an important business opportunity because your flight was delayed, and it wasn’t your fault, then you may be eligible to claim compensation under European Union rules. Don’t be left in the dark about your rights. 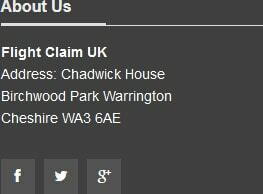 Get in touch with Flight Claim UK for advice on your situation. You can contact us through the online form on our website or email us at claim@flightclaimuk.com. We will quickly evaluate your claim and let you know what you could be entitled to receive if successful. Furthermore, our no win no fee guarantee and our professional, efficient service will get you the flight compensation you deserve, without risking further financial losses.